Elleora recently performed her Suzuki Piano Book One Graduation. She played very beautifully. One neat thing is that her mother, Karyn, was also a Suzuki Piano Student. 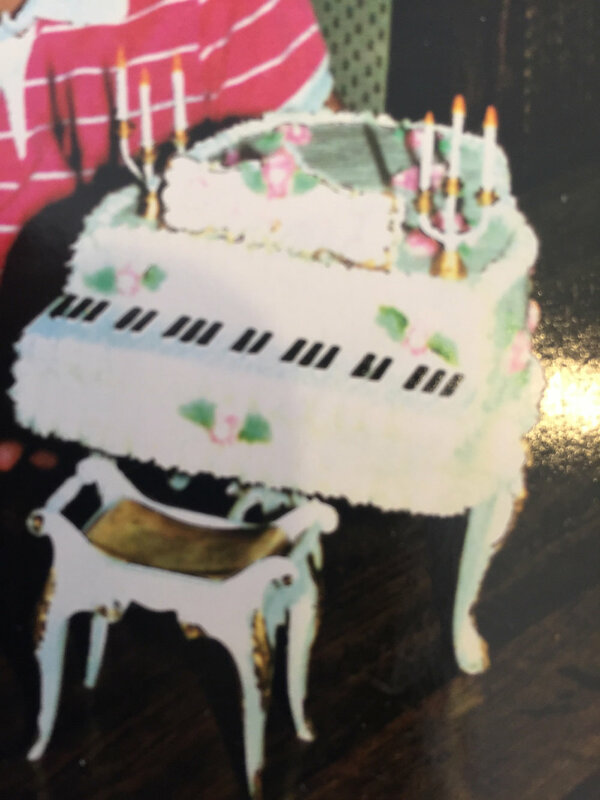 Karyn found the exact piano shaped cake mold that her own mother used for her Book One Graduation Recital. That's some pretty special history. The music was beautiful, the cake was beautiful. Congratulations, Elleora! I'm proud of you.